Do you love sand, waves, and the Midwest woodlands? 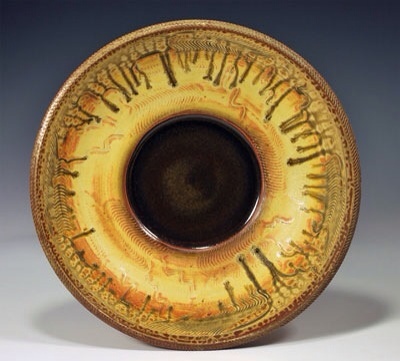 If it’s yes, then you need to look at Mike Taylor’s pottery. We are hosting an online exhibit with Mike’s work available for purchase online. Mike Taylor has been making ceramics vessels for more than 30 years. He lives outside of Hamilton, Michigan. His pots have texture on its surface that relate to all the things we find familiar in nature here. 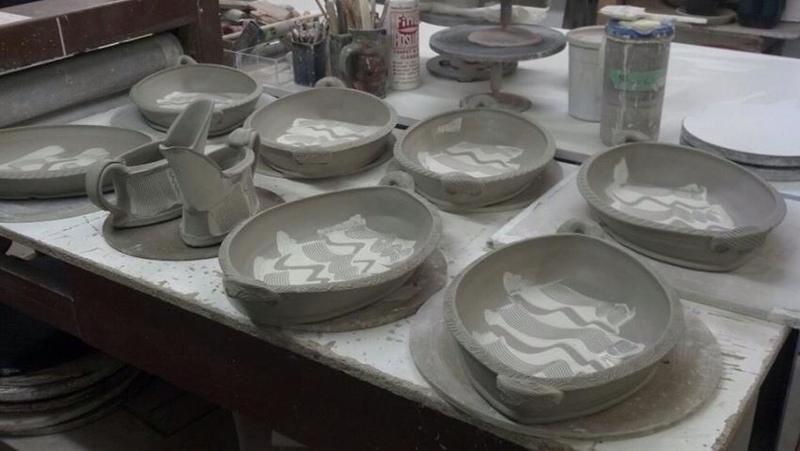 (The Great Lake State – Michigan) Mike makes his own ash and Asian styled shino glazes. He dips, pours, and sprays the glazes. Sometimes there are more than 6 layers. The texture and layers of glaze are what produce his interesting ceramic work. When Mike’s pots are touched, picked up and considered, you always turn it around to see the other side and look at its bottom. You will find surfaces that seem to be familiar but each person describes it differently. Wouldn’t it be fun to have friends over for dinner letting them select a handmade ceramic serving piece to serve the meal in? I can see them looking through the cupboards, picking up different pieces, asking about it and the maker, and then making a selection. What a great way to share a meal and make it very personal.